The Earl of Wessex, Honorary Air Commodore, Royal Air Force Waddington, this morning attended the Intelligence, Surveillance, Target Acquisition and Reconnaissance Award Ceremony at Royal Air Force Waddington, Lincoln, and was received by Her Majesty’s Lord-Lieutenant of Lincolnshire (Mr Toby Dennis). His Royal Highness, Honorary Air Commodore, Royal Air Force Waddington, this afternoon visited International Bomber Command Centre, Canwick Hill, Lincoln. 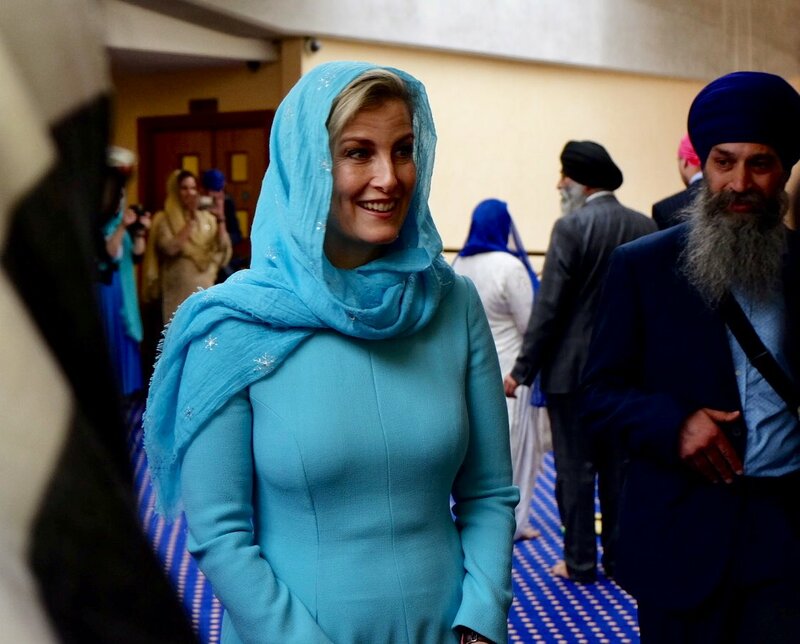 The Countess of Wessex, Global Ambassador, International Agency for the Prevention of Blindness, this afternoon held a Meeting. Her Royal Highness, Patron, London College of Fashion, this evening held a Reception at Buckingham Palace. The Earl of Wessex, Chairman of the Board of Trustees, The Duke of Edinburgh’s International Award Foundation, this morning visited Hampton Court Palace, East Molesey, as part of His Royal Highness’s Duke of Edinburgh’s Award Real Tennis Tour and was received by Major Christopher Goodwin (Deputy Lieutenant of Greater London). The Earl of Wessex, Chairman of the Board of Trustees, The Duke of Edinburgh’s International Award Foundation, and The Countess of Wessex, Global Ambassador, this evening attended a Gala Dinner at Hampton Court Palace. The Earl and Countess of Wessex, Founders, Wessex Youth Trust, today held a Meeting. The Earl of Wessex, President, Creative Youth Organisers of the International Youth Arts Festival, this evening attended the Annual Gala Dinner at Glenmore House, 6 the Crescent, Surbiton, and was received by the Reverend Martin Hislop (Deputy Lieutenant of Greater London). The Earl of Wessex, Trustee, The Duke of Edinburgh's Award, today attended Receptions at St. James's Palace for young people who have achieved the Gold Standard in the Award. His Royal Highness, Patron, British Ski and Snowboard Limited, this afternoon held a Meeting at Buckingham Palace. The Earl of Wessex, Chancellor, University of Bath, this evening attended a School of Management Reception at 83 Pall Mall, London SW1. The Countess of Wessex today visited Cornwall and was received by Her Majesty's Lord-Lieutenant (Colonel Edward Bolitho). Her Royal Highness this morning visited the Cornish Gouda Company, Talvan Farm, Lanreath. The Countess of Wessex this afternoon visited Operation Encompass and Kreslu Police Charity, Devon and Cornwall Police, Bodmin Hub, Tollgate Road, Bodmin. Her Royal Highness later visited 505 (Wessex) Squadron, Royal Air Force St. Mawgan, Newquay. The Countess of Wessex, President, afterwards visited Truro Christmas Primestock and Produce Show, the Marquee, Lemon Quay, Truro. Interesting windows in the hall. His Royal Highness this afternoon received Major General Ranald Munro (Assistant Chief of Defence Staff, Reserves and Cadets) at Buckingham Palace. 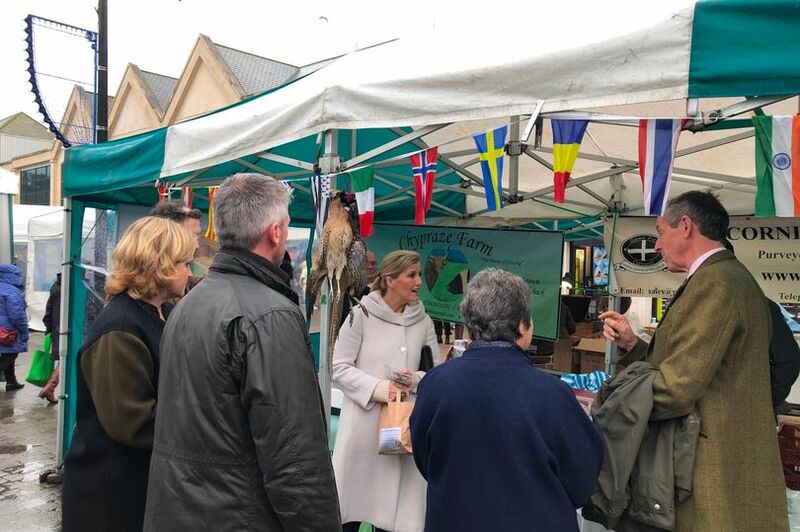 The Countess of Wessex, President, today attended the Truro Christmas Primestock and Produce Show, the Marquee, Lemon Quay, Truro, and was received by Her Majesty’s Lord-Lieutenant of Cornwall (Colonel Edward Bolitho). 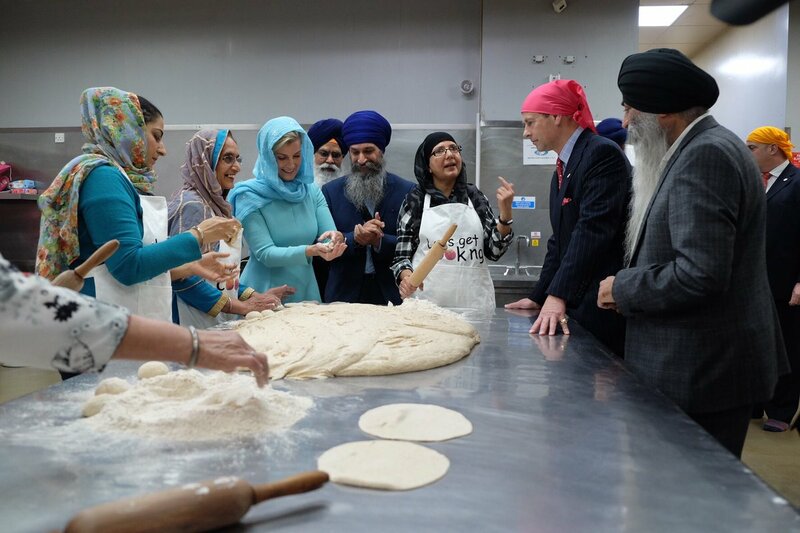 The Earl of Wessex, Trustee, The Duke of Edinburgh’s Award, and The Countess of Wessex, Chairman, Women in Business Committee, The Duke of Edinburgh’s Award, this morning visited the Sri Guru Singh Sabha Southall Gurdwara, Havelock Road, Southall, Middlesex, and were received by Mr Richard Kornicki (Deputy Lieutenant of Greater London). 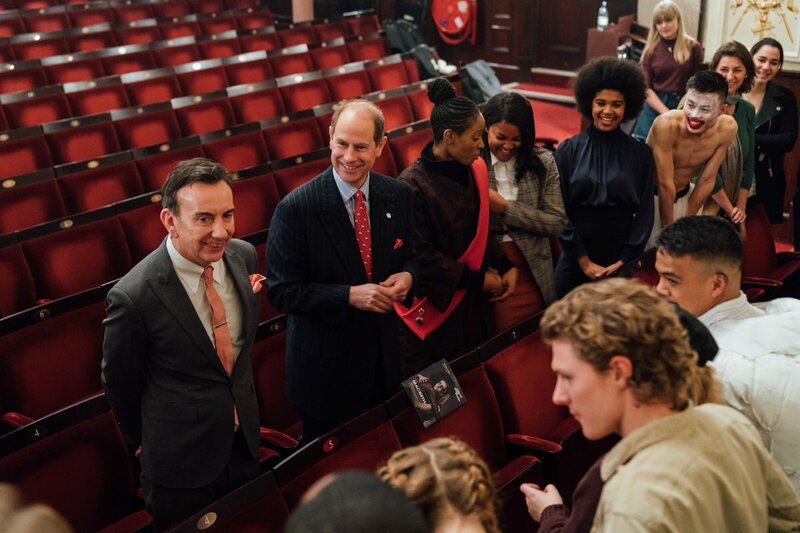 His Royal Highness, Patron, the National Youth Theatre of Great Britain, this afternoon attended a Luncheon at Coutts and Company, 440 Strand, London WC2. 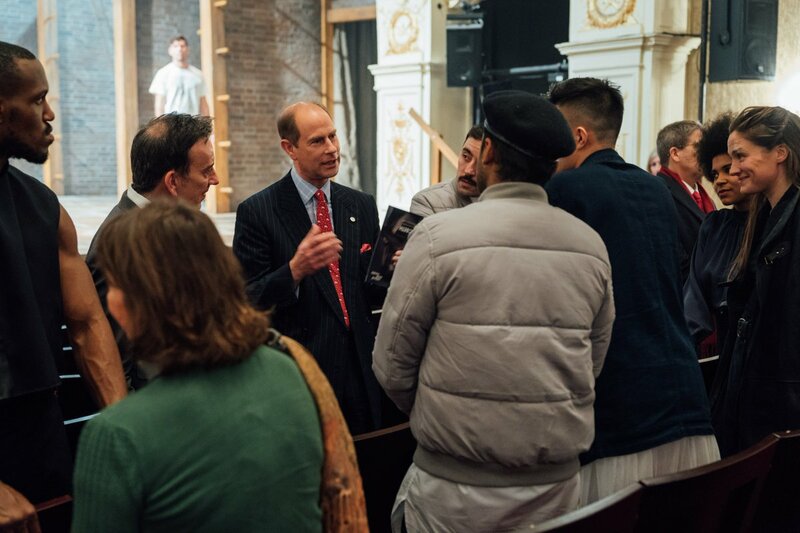 The Earl of Wessex, Patron, the National Youth Theatre of Great Britain, afterwards attended a performance at the Garrick Theatre, 2 Charing Cross Road, London WC2. The Earl of Wessex, Trustee, The Duke of Edinburgh’s Award, and The Countess of Wessex, Chairman, Women in Business Committee, The Duke of Edinburgh’s Award, this evening held a Fifteenth Anniversary Reception and Dinner at Buckingham Palace. What a fun couple of days. 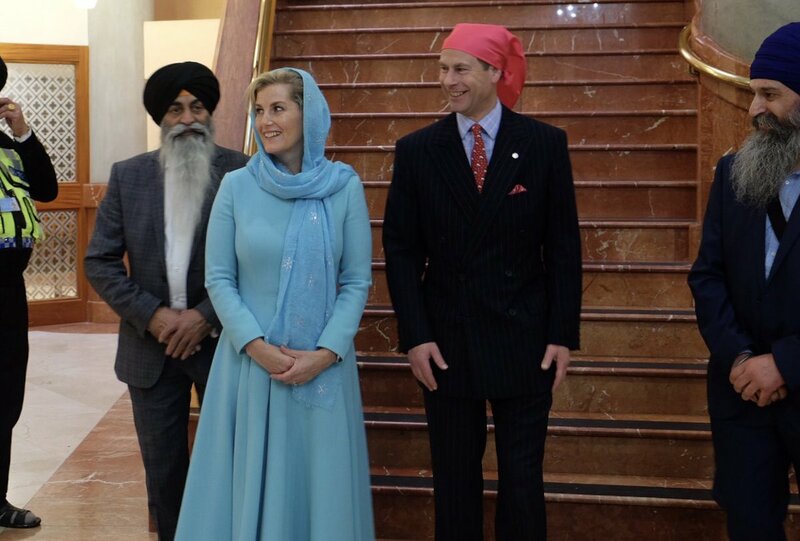 Let me first say I appreciate Edward and Sophie following Sikh dress requirements. Having said that I smiled as broadly as they did at Edward in the scarf. He should not take up as a milliner any time soon. And this is not a fashion thread but what a treat for Louise and I loved the elegant dress and lip color. 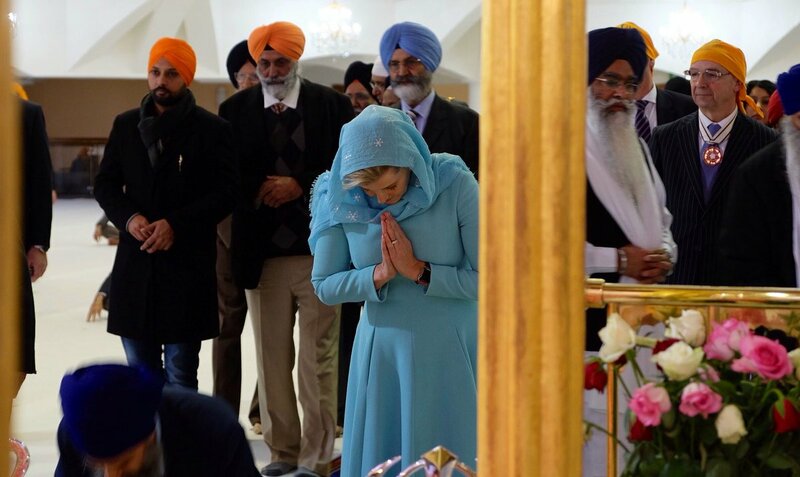 I hope someone gives her ballroom dance lessons as a Christmas gift! The Earl of Wessex, Chancellor, University of Bath, this evening attended a Dinner at the University of Bath, Claverton Down, Bath, Somerset. The Earl of Wessex, Chancellor, University of Bath, today presided at Degree Congregations at the Assembly Rooms, Bennett Street, Bath, and was received by Her Majesty’s Lord-Lieutenant of Somerset (Mrs Richard Maw). The Earl of Wessex, Chairman of the Board of Trustees, The Duke of Edinburgh’s International Award Foundation, this afternoon held a Meeting at Buckingham Palace. His Royal Highness, Patron, Central Caribbean Marine Institute, this evening held a Dinner at St James’s Palace. Nice to see Sophie and Louise together at the Horse Show. Louise is blossoming into a pretty young lady and looks very grown up and sophisticated in her outfit. Sweet to hear as well that Strictly was a present for Louise for her birthday - she must be a fan of ballroom dancing too. As Lady Louise matures, I think she increasingly resembles Queen Mary & even more so, her daughter the Princess Royal, Countess of Harewood. His Royal Highness, Chairman of the Board of Trustees, The Duke of Edinburgh's International Award Foundation, this afternoon held a Meeting. The Countess of Wessex this afternoon received General Sir Gordon Messenger (Vice Chief of the Defence Staff) at St. James's Palace. The Countess of Wessex subsequently received the Lord Adonis (Patron, Frontline) and Mr. Joshua Macalister (Founder and Chief Executive). Her Royal Highness this evening attended a Dinner given by the Born Free Foundation at the Hari Hotel, 20 Chesham Place, London SW1, to celebrate the Foundation's Thirty Fifth Anniversary.